North Shore Surf Girls offers Oahu surf lessons in both surfing and SUP with female instructors. All Oahu surf lessons include top quality surftech surfboards and leashes, Lycra rash guards and instruction on land and in the water. Surf lessons are 1-2 hours depending on your preference, we recommend a 2 hour lesson if it’s your first time surfing. Rates listed below are per person and in 1 and 2 hr blocks. One hour lessons are priced approximately 25% less then two hour lessons. Surf and SUP lessons times are 9am, 12pm, and 3pm everyday. Custom times for large groups, Semi Private and Private Oahu surf lessons are available. Book online or call 808-637-2977. 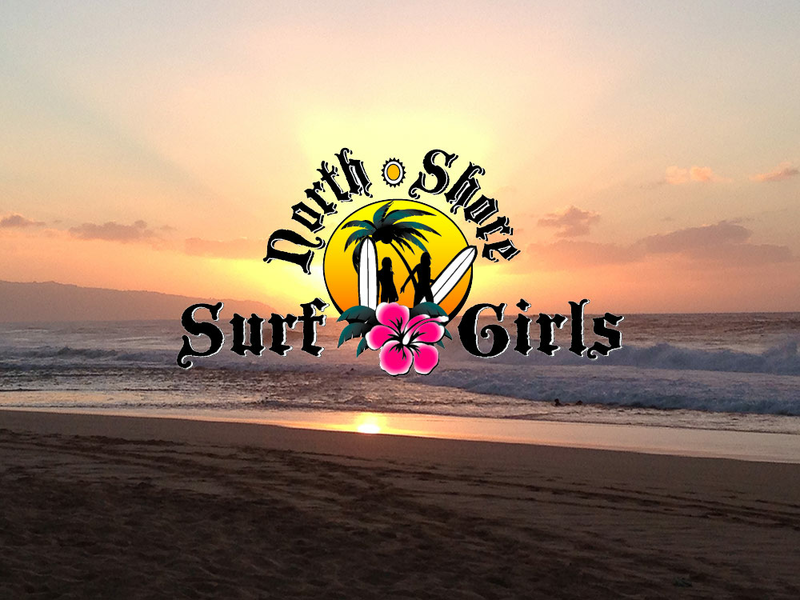 Welcome to the North Shore Surf Girls Surf School, located on the storied North Shore of Oahu, Hawaii. We specialize in beginner surfing lessons & stand up paddle board for girls, boys, women, men and families. Advanced lessons are also available for more experienced surfers. It doesn’t matter if you are young, seasoned, out of shape or just unsure, we can help you achieve your goals in surfing. 99.9% of our students stand up in their first lesson, many on their first wave. Our female surf instructors include former pro surfers, lifeguards, Bay Watch stunt doubles and even featured in the surf movie, “Blue Crush”. We evaluate the surf each day and take you to the safest & most fun location for your Oahu surfing lesson. One of our most popular tours at North Shore Surf Girls is the sunset barbecue surfing tour. We are the only surf school on the North Shore that offers this unique oppertunity. The tour starts out with a surfing lessons at a local beach with our qualified instructors. Following the surf lesson you and our staff head out to enjoy a beautiful sunset barbecue at the picturesque North Shore of Oahu. This year our incredibly popular surf camp will be centered around the World Surf Leagues Pipe Master’s. We are the only surf school on the North Shore that offers this unique opportunity for several lucky students to receive an exclusive 7 day intensive to learn how to surf. The camp includes surfing lessons at a local beach with our qualified instructors. Following the lesson you and our staff head out to enjoy watching the worl’ds best pro surfers compete at the world’s best contest venue in picturesque North Shore of Oahu. Well worth the trip up from Waikiki! I booked a tour with North Shore Surf Girls with less than 48 hours notice. The booking process was super easy and I was sent very specific details on where to meet at the lesson time. Carol was a great teacher, really helped my technique, improved my confidence and went above and beyond what I would have expected for a surf lesson. I would definitely return and book with these girls again, I had an absolute ball! We had our two teenage kids take lessons with NSSG and they absolutely loved it! They had never surfed before and were up over and over again. Our daughter 16 felt like she was surfing with good friends. Our kids loved the twin instructors they had the first day and both our kids loved having Carol as a teacher the second time around. Our 13 year old son was unsure about surfing, but was totally hooked by the first lesson. Thanks so much for all of the great information and teaching. We would highly recommend anyone to NSSG! They are the best. Carol and her assistant were great teachers. They were very clear during training and gave great instructions while out in the water. I really liked that the lesson was quick and we were out in the water the immediately. They were really friendly too based on other instructors I saw out in the water. We were a group of 5 ladies and 2 guys, and we all surfed successfully. Thank you so much for the memories Carol!!! Mahalo! Purchase your own exclusive NSSG t-shirt or rash guard to take home with you. These are not available for purchase anywhere else and are an authentic souvenir of surfing The North Shore! We offer to you all the insider local knowledge of the North Shore; from how to enjoy the ocean safely, to the best places to stay and eat and so much more. Give us a call today we love to help and it’s free! 1-808-637-2977. If you’re interested in filming a TV project, movie or commercial, we know ALL the North Shore locations inside and out along with how to navigate permits etc. We can also provide surfer girl models and stunt women. If you have any special requests for your surf lessons or things you’d like to do during your stay on the North Shore, we’ll be happy to accommodate you. The only limitation is your imagination. If you’re looking for a place to stay on the North Shore, send us an email by completing the form below. We have the lowdown on all the good spots at the best prices.